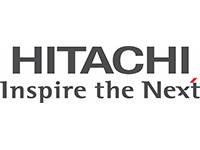 ABOUT COMPANY:- Hitachi Consulting Software Services India Pvt. Ltd. spearheads information technology services in India that include business consulting solutions based on practical strategies and modern technologies. It's effective and tactical solutions have a positive and far-reaching impact on the businesses of its clients and have been responsible for the success of many businesses.